In the era of the #MeToo movement, a considerable number of companies are demonstrating zeal in complying with their legal obligations to provide their employees with a safe working environment, free from sexual harassment. While that intention is without a doubt laudable, the Quebec Administrative Labour Tribunal has nevertheless reminded us in a recent decision that the socially reprehensible nature of a criminal conviction for acts of sexual abuse does not, in itself, justify the dismissal of an employee, owing to existing constitutional protections against discrimination based on criminal records. In the case of X v. Reitmans, the tribunal was called upon to determine whether the employee, X, had been dismissed for a good and sufficient cause, not just once, but twice. The employee had been working for his employer for some 35 years and his disciplinary record was unblemished. He was a supervisor in a distribution centre whose responsibilities required him to supervise about 50 employees, the majority of whom were women, including a number of migrant workers, and some of whom were between 16 and 18 years of age. In August 2014, the employee was convicted of having molested his wife’s daughter — incidents which had occurred several years before, when the girl was between five and 10 years old. The employee was sentenced to 20 months in prison. He appealed the sentence, however, and was released pending the final decision in that matter. The employer, upon learning of the conviction, called the employee to a meeting, at which the latter remained evasive about the reasons for his conviction. Viewing the employee’s conviction for sexual abuse as being incompatible with his supervisory duties, and also alleging that his lack of transparency had jeopardized their existing bond of trust, the employer decided to dismiss the employee — a move contested by the latter under s. 124 of Quebec's Act respecting labour standards. When the employer learned, in October 2015, that the employee’s appeal of his sentence had been dismissed and that he had been incarcerated, the employer decided to dismiss him once more, this time by reason of his unavailability to perform his work owing to his imprisonment for a term of 14 months. Reviewing the circumstances surrounding the first dismissal, the tribunal ruled that there was no objective and empirical connection between the employee’s duties and his conviction for sexual abuse. In so deciding, the tribunal dismissed the employer’s contentions that the employee was supervising "vulnerable" employees, and that he could not continue doing that work, since one of the aggravating factors identified by the Court of Québec was that he had abused his position of authority over his victim. For the tribunal, however, it was impossible for the employee to commit the same offence again, since no child was present in his work environment. In addition, the relationship of authority between the employee, a first-line manager, and his employees, was clearly different from that between an adult and a child. The tribunal also dismissed the employer’s argument that the employee’s conviction could damage either its reputation, since there had been no media coverage of the conviction in question, or its customer relations, which, in any case, were very limited. Finally, the tribunal indicated that the employer had presented no concrete evidence that the employee was unable to ensure compliance of other employees with the company’s code of conduct because of his conviction. Accordingly, in the tribunal’s opinion, no objective and empirical connection existed between the employee's duties and his conviction for sexual abuse. As such, the employee’s dismissal on the basis of his conviction was prohibited by the Quebec Charter of Human Rights and Freedoms and could not be upheld. Regarding the fact that the employee had been less than candid in his meeting with the employer, the tribunal acknowledged that such conduct was blameworthy, but concluded that his dismissal was disproportionate, in view of the employee’s clean disciplinary record and his 35 years of service. This decision is disconcerting as it also dismissed the employer’s argument with regard to the second dismissal, relating to the employee’s unavailability for work owing to his 14-month imprisonment. The tribunal regarded that second dismissal as a mere "pretext" for sidestepping charter obligations. It took the view that the only reason why the employee was unable to perform his work was because he had been fired, and not because he had been incarcerated. This ruling comes as a surprise since it is obvious that the employee was truly unavailable for work during his term of imprisonment, regardless of whether or not he had been dismissed previously. The Supreme Court clearly held in its 2003 decision of Québec (Commission des droits de la personne et des droits de la jeunesse) v. Maksteel Québec Inc. that the constitutional protection invoked by the employee could not be extended to the civil consequences resulting from a criminal conviction, including that of imprisonment. It will be interesting to monitor the impact of this decision, which will surely be controversial, if only because of the especially sensitive context in which it was rendered. Going forward, employers at grips with any similar situation will have to pay particular attention to analyzing whether there is any objective and empirical connection between the specific facts surrounding an employee’s criminal conviction and his or her duties, before making any disciplinary or administrative decision whatsoever based on that conviction, however serious or shocking it may appear to be. X v. Reitmans, 2018 QCTA 2357 (motion for judicial review 2018-05-16, C.S. Montréal, docket no. : 500-17-103253-186; Declaration of out-of-court settlement, 2018-06-18). Québec (Commission des droits de la personne et des droits de la jeunesse) v. Maksteel Québec Inc., 2003 CarswellQue 2475 (S.C.C.). 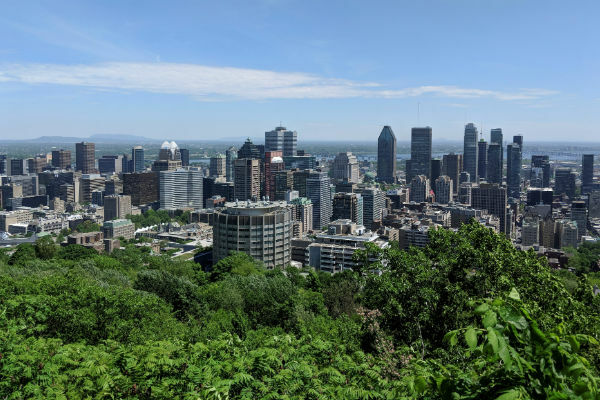 Marie-Pier Emery is an associate with the Labour and Employment Law Group with Borden Ladner Gervais in Montréal, practicing in both English and French. She can be reached at (514) 954-3123 or MEmery@blg.com. For more information, please visit http://blg.com/en/Our-People/Emery-MariePier.